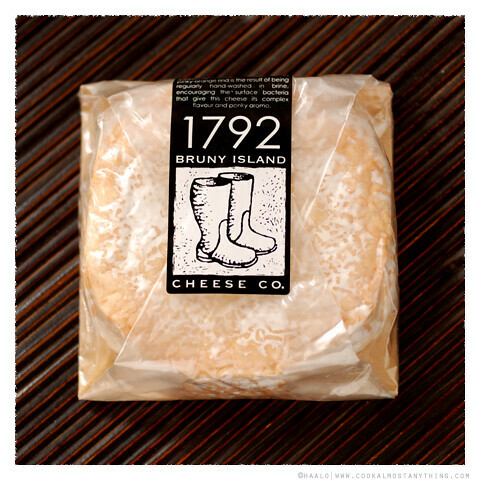 Back with another cheese from Bruny Island - this time it's one of my absolute favourite washed rinds. I do quite like the packaging - the clear wrapper gives you a perfect view of its crinkly, saffron coloured skin - and it sits on a fine sheet of Huon pine. 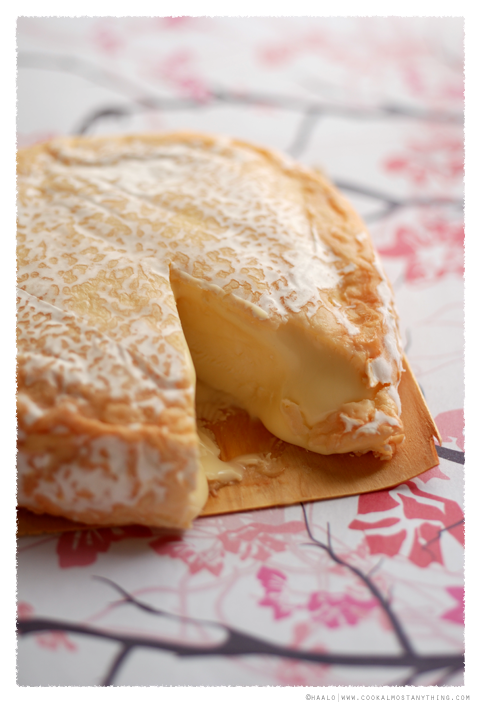 but left to sit before cutting, a few gentle pressing on the surface, shows that even at this stage it is quite soft. Cutting it provides proof positive. 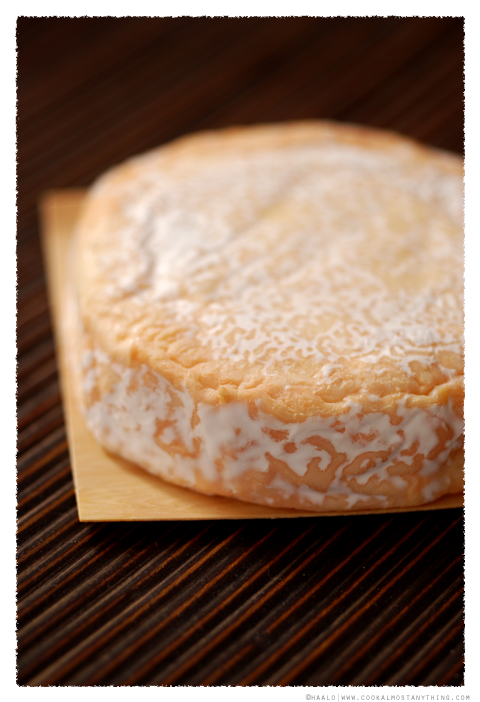 There's still a bit of firmness right in the center but the rest of the cheese is meltingly soft. 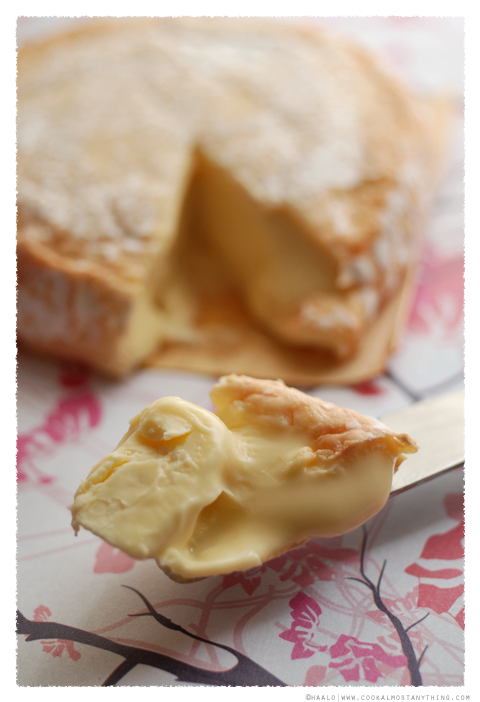 The aromas are soft on, earthy but not overpowering. Unlike The Saint, there's no ammonia scent at all. 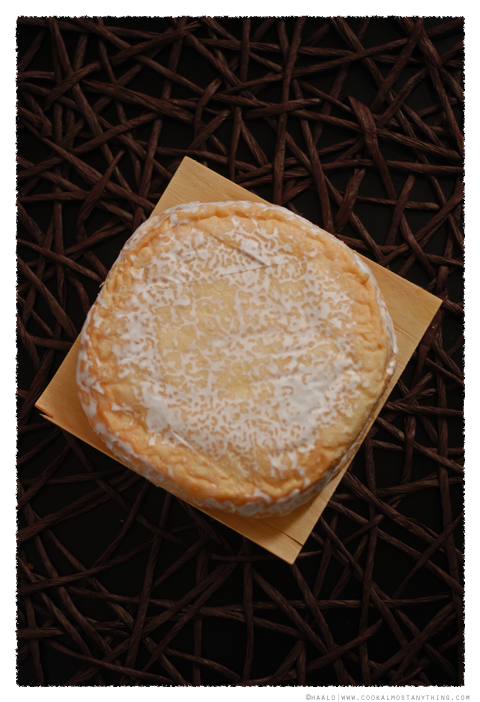 The taste, rich and creamy with a lovely sweetness to the cheese. I'm drooling here, especially at that last photo. Not being able to reach out and grab a gooey slice is torture! Try their Oen next. It makes me go weak at the knees!